« Tasting Room Closeouts – Are They Really a Deal? Four years ago I launched a new section of the site devoted to free tasting rooms in wine country. Given how many similar lists exist out there, I was surprised at the response. But I guess I shouldn’t have been. After all, for the wine lover what could be better than a free wine tasting?! Wine’s a tough hobby for the budget-conscious. I should know – I’ve been traveling through America’s various wine regions for over 15 years on a middle-class income; always slightly frustrated that some of my favorite once-free wineries now charge upwards of $40 per person for a basic tasting. Tasting fees like that leave little room in the budget for buying wine! Adding to the frustration – nearly every free tasting room list on the web seems to be several years out-of-date. I wish I were joking.. some of the more popular sites advertise free tastings at wineries long-ago closed or that have been charging for years. That’s why an essential ongoing feature of Dirt Cheap Wine Country will be an up-to-date sleuthing of the free tasting rooms that are still around. I’ll try to update it quarterly and only feature tasting rooms whose fees I can personally verify. Personally, I want to express my gratitude for the handful of winemakers who still embrace the free tasting model, who are confident enough that their products can sell itself without sticking it to the customer. There may be freebies lurking out there, and if you find them let me know and I’ll gladly add them to the next revision. For now this is a North America-centric site and I have lists up for Napa, Sonoma, Paso Robles and Oregon. For 2019 I’ve added Washington and am working on SoCal and New York. Virginia will be coming on line in the very near future. Wine Country This Week and the Winery Finder App are two of the oldest and more reliable sources for Free and 2-for-1 tasting coupons. Many wine country hotels keep a stash of tasting coupons on hand be sure to ask. Wine Country Inns of Sonoma offers a particularly good program. Yelp! & Foursquare Check-ins – Many wineries offer free tastings if you check-in using the Yelp! or FourSquare smartphone apps. Unfortunately, there’s no central list of these offers and they change routinely, but many people do mention the free tastings in online reviews so if you’re planning in advance you’ll need to scour Yelp! reviews. While you’re at the winery, look for the Yelp! or Foursquare logo on the door or near the tasting counter. The VISA Signature/Infinite card. If you have a VISA credit card (sorry debit card fans, it’s credit only) pull it out and look for the word “signature” emblazoned across the front of it. If you see “signature” then congratulations! Show your card at any of 50 or so wineries in Sonoma County and you’ll receive 2-for-1 tasting and a purchase discount. See the list and details here. Oregon Wine Pass – At $60 for the year, this is a deal since each passport is good for -2- people. 80-ish participating wineries, mostly smaller labels that you may or may not be familiar with. Napa Valley Tasting Passport – Not exactly a steal, but at $99 for the year I think it’s a pretty fair value for Napa. 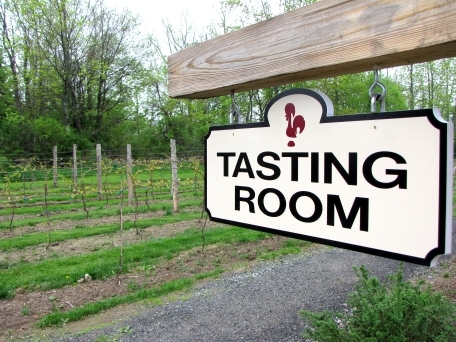 Includes tastings at a well-thought-out list of 35 wineries. Wilson Artisan Wineries – Club members at any of these Northern California wineries enjoy free tastings at: Wilson, deLorimier, Matrix, Soda Rock, Pezzi King, St. Anne’s Crossing, Jaxon Keys & Greenwood Ridge. GEMS of Napa/Sonoma – Club members (minimum club spend may apply) at any of these Napa and Sonoma wineries enjoy free or heavily discounted tastings at: Chappellet, Robert Biale Vineyards, Flora Springs, Frog’s Leap Winery, VGS Chateau Patelle, Robert Craig Winery, B Wise, LaRochelle, Medlock Ames, Hall Rutherford, Patz and Hall, WALT, and Vineyard 29. What are your favorite strategies for scoring free tastings? Put them in the comments and I may add them to future revisions! This entry was posted on July 14, 2014, 4:25 pm and is filed under Wine Travel. You can follow any responses to this entry through RSS 2.0. You can leave a response, or trackback from your own site. As of December 2013 Terra Valentine is no longer part of the GEMS program. However we do waive the tasting with the purchase of one bottles person. The tasting fee is $40 an our wines range from $30 to $95. Thanks for the update Tracy! Glad you found us!